Math can be a tough subject for kids to master so why not give them a way to brush up on their skills which is fun and engaging? The Mathcubes app can be used on your iPod touch, iPad, and iPhone and is meant for kids age three to eight. They will be working on their subtraction and addition skills in a number of different ways. Even if your child hasn’t started school this is a great way to start introducing them to the basics of math, giving them that much better of an understanding when they begin school. Perhaps your child has been having issues with math or maybe he has a pretty good understanding of it. This app lets you be proactive and helps kids to further their understanding and knowledge so they can really excel in the subject area. What's really fun is to watch your child's progress and see how her confidence increases over time. As mentioned this app focuses on addition and subtraction, which are the basics of math. The app features both talking and visual exercises so it captures the attention of kids. This is a brand-new release that doesn't yet have a customer rating or comments. Because it is a new release it doesn't have any updates at this time. This particular app is part of the collection from School Cubes which focus on learning activities that are fun and engaging for kids. There are a few things worth noting before your child begins to learn through the app. The app has actually been created to encourage learning through the means of experimentation. The app is actually able to get to know the child's level of difficulty and adapt to it so that it offers the maximum benefit to them. Kids receive awards and prizes for jobs well done, which of course is a wonderful way to motivate them. There are no time limits here and the app supports a number of different languages. Besides addition and subtraction this app can also help with number recognition, which of course is important with younger kids. The app is kid-friendly so you can put all the control in their hands and let them read the questions and answer them on their own. This encourages their problem solving skills and helps with their independence and confidence. 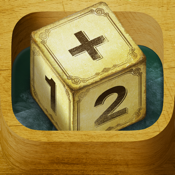 The Mathcubes app for your iPod touch, iPad, and iPhone gives kids a way to work on their math skills in a non-stressful and completely engaging way.